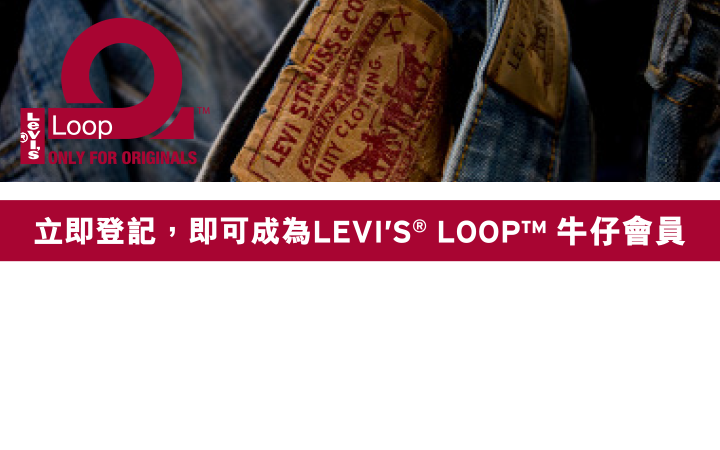 Levi Strauss (Hong Kong) Limited (“LSHK”) is deeply committed to the relationship of trust we have with you — our consumers. For more than 155 years, Levi Strauss & Co. has been creating authentic products by leading with the values. As we continue to innovate in how we bring our products to life online, we’ll match cutting-edge technology with your privacy interests. We want you to know what and how information is collected when you interact with our websites. We will take reasonable precautions to protect information we collect about you on our websites through the use of secure technologies. This includes but not limited to your name, physical address, e-mail address, date of birth, phone number, fax number, social media information and credit card information. Information we collect about your activities on our websites through the use of technology such as cookies and web beacons is referred to as browsing information. This browsing information is linked to an anonymous IP identifier and not to you personally. If for any reason your browsing information is linked to information that can personally identify you, we’ll treat it as Personal Data. All information that you share about yourself, whether it is Personal Data or not, in a public open forum – on a social network, in user-generated content elements of our websites, etc. — will be considered as public information for the purposes of this policy. If you don’t want it to be public, don’t post it. Persons under a duty of confidentiality to us (including our professional advisers). We also permit third-party advertising companies to collect your browsing information as well to provide ads on our behalf that are tailored to your interests. We use information collected on our websites for four primary purposes. First, we use information collected to facilitate your online shopping experience and to offer you information and promotional materials about the products and services you see on our websites. Second, we use your browsing information to help us analyze our websites, services and offerings. We consider such information analytics data. Third, your browsing and shopping information is used to provide you with interest-based advertising. Fourth, we may use information you post in public areas to provide you with an interactive social media experience that brings aspects of your social networking community to our websites and our social media platforms such as Facebook, Instagram and WeChat. any present or future contractual or other commitment with local or foreign legal, regulatory, judicial, administrative, public or law enforcement body, or governmental, tax, revenue, monetary, court, or other authorities, or self-regulatory or industry bodies or associations or any of their agents with jurisdiction over all or any part of us that is assumed by, imposed on or applicable to us. Whilst you have the choice of not providing your Personal Data we may have requested, you should note that if the data is not provided, we and our Trusted Business Partners may not be able to provide you with all or part of our services and your online experience may also be affected and you may not be able to fully enjoy the online features provided by us and our Trusted Business Partners. When you visit our ecommerce sites, web beacons will recognize specific cookies that have been placed on your browser. Web beacons can convey information that a browser with a recognized cookie has accessed a page or a certain part of a page on our website, depending on where the web beacon is located on the website. For example, a web beacon located on our purchase confirmation page will record that a browser with a recognized cookie accessed that page which means that we can conclude that the browser was used to purchase a product. The web beacon does not, however, tell us that you specifically (by reference to Personal Data) have purchased a product because the cookie is only the browser’s identification card; it is not your personal identification card. We use web beacons to measure the effectiveness of our advertising campaigns and to improve our websites by recognizing which pages are visited and whether those visits result in purchases. Web beacons also allow third-party advertising companies we work with to select and serve banner advertisements to your browser that you would be most likely to be interested in. We allow certain companies to collect information from browsers of our websites to use and serve interest-based ads. These companies are usually third party ad servers, ad agencies, technology vendors or providers of sponsored content. Using cookies and web beacons, these companies collect data from a particular browser about web viewing behaviors over time and across unrelated websites and use such data to predict user preferences and to deliver advertisements to that browser which are calculated to target that browser’s predicted preferences. Information collected through cookies and web beacons to keep track of what products you viewed and purchased and what areas or pages you viewed on our websites is called “analytics data”. We use analytics data to improve the design and content of our websites, to help us learn things like what pages are most attractive to all of our visitors and what promotions visitors like to see, and to gauge the success of our advertising campaigns. Interest-based advertising has become commonplace across the Web. It is the term we use for the activity that enables us to tailor ads to your interests and activities. Either LSHK or third-party advertising companies we work with may look at your browsing activity, such as the types of content you access, ads you click on, and searches you conduct. We can then infer certain interests you have and place ads and offer you deals that meet your needs. Our goal for interest-based advertising is to show ads to people likely to be interested in the products we offer at LSHK. We keep your Personal Data confidential, and we require, by contract, that each of our Trusted Business Partners who may have access to any such Personal Data to keep it confidential as well. Our Trusted Business Partners, in turn, may share information with their own service providers pursuant to similar confidentiality restrictions. We will not sell, trade, or otherwise transfer any of your Personal Data to any other outside parties for direct-marketing or other unrelated purposes without getting your consent first. “Outside parties” do not include companies owned by Levi Strauss & Co. or our Trusted Business Partners whether within or outside Hong Kong who help operate and provide services on our websites and we may provide, disclose or transfer such Personal Data to them for any of the purposes stated above. Of course, to the extent we reasonably believe that a disclosure is required by law, to enforce our website policies, or to protect your or others’ rights, property or safety, we reserve the right to do so. When you register at our sites, we ask you to set up a password that you can use to access your information at our sites. If you want to cancel your password or change it, or something happens to your password, click on the “Contact Us” of our websites. We use Secure Socket Layer (SSL) technology to encrypt transmissions of sensitive information from your computer to our servers. However, when you communicate with customer service via email or chat on our websites, these communications are handled via unsecured transmissions. Please be aware that information provided (such as email address, payment information, etc.) may be accessible to others. For that reason we ask that you protect yourself and not share sensitive information via these communication channels. All practical steps will be taken to ensure that personal data will not be kept longer than necessary and that we will comply with all applicable statutory and regulatory requirements concerning the retention of personal data. to ascertain our policies and practices in relation to your Personal Data and to be informed of the kind of data held by us. You may send requests for access to data, correction of data, or for information regarding policies and practices and kinds of data held to the address below. With your Personal Data — like the information you give us to fulfill an order or sign up for an online offer or contest – we will always give you the right to change or correct your information and the choice of not hearing from us again. There are several ways you can control our use of any submitted Personal Data in connection with promotional communications. When you set up an account, or either click on “My Account” from any page or “Manage Your Account” from within the Help Desk area of one of our websites, you can access, correct or update your choices/settings. If you receive email communications from us on behalf of any of our brands and want to opt out of receiving such communications in the future from that brand, you can opt out by clicking the “Unsubscribe” link at the "My Profile". If you have any difficulty managing your communication preferences, please email LSHKCRM@levi.com. We work with Third-Party Advertising Companies that may collect your browsing and shopping information in order to provide LSHK and other advertisements of interest to you. We refer to this practice as Interest-Based Advertising. We believe these interest-based ads are more useful to you than randomly-generated ads because they are tailored to your shopping and product interests as indicated by your browsing habits. Finally, it is important to note that in most cases opting out drops an “opt-out cookie” on your browser. As a result, if you delete, block or otherwise restrict cookies or use a different computer or Internet browser, you’ll need to renew your opt-out choice.